Adrienne talks about her previous career as a software developer, how she got into music, why she started Performance High, how she’s managing the studio’s growth, what type of clients work with Performance High, and what it’s like being a female entrepreneur in the music industry. Adrienne helped me dig deep and find a voice I didn’t even know I had. I didn’t realize I was capable of going to such a vulnerable fragile place when I sing softly and then She helped me to belt out energy and inspiration at full voice. Her teaching it’s going to help my Ted talk punch a hole in the sky! "I am so glad that I came to Performance High not only for my voice lessons, but also performance practice. I started back in December 2015 and have already noticed a huge growth with my voice in clarity and maturity! I've learned so much from Adrienne and am forever grateful for the techniques that I can use for a lifetime! I've also worked with Justin on stage performance and always received the ultimate feedback to better my presence each time I attend a class. It's such a great opportunity to conquer your fears! Performance High is so supportive of your dreams and never directs you away from what you are wanting to do. They appreciate that it is your time! Highly recommended." "Working with Adrienne over the last few months has been a revelation. I was a guitar player who aspired to sing but my material was limited due to the limitations of my vocal range. Once Adrienne knew what I was looking for, in terms of extending my range, she very quickly got to grips with my vocal issues and within a few lessons had me going places I had never been any where near with my singing voice. If you could hear the difference in my voice a few months ago and now, you would understand why I called Adrienne "a miracle worker" after our last lesson. As a result of working with Adrienne my confidence is much greater and the range of songs I cover has increased hugely. The warm up exercises provided by Adrienne ensure that I am no longer straining when I reach for those higher notes and I am much more prepared both physically and mentally when I perform." "I have been working with Adrienne for about 8 months now. I have always been told that I have a beautiful voice and a true talent. But I never believed it and honestly felt like people were just trying to make me feel good. Then I met Adrienne and from our very first lesson she has made me feel so much more comfortable and confident in myself. I now look forward to singing in front of someone (well her), because she has made it such a stress free and enriching atmosphere. Adrienne has taught me how to know and recognize the differences between my head and chest voice. My breathing, tone, and posture has become so much better since working with her. She has helped me improve things I have struggled with for years in just a few sessions. I honestly did not expect to see the amount of progress I have made in a year let a lone in just eight months. Each lesson we focus on an issue and she helps find multiple ways to help me improve. The best part about working with Adrienne is that she is so genuine and encouraging. She isn't just there to collect money and move on to the next. She truly cares and offers support in so many ways. She puts her passion for music and performance into every class and invests that same dedication into her students. She always has a warm and welcoming smile and gives off an amazing spirit. I would recommend her in a heart beat! As I said she is wonderful, and amazing. She is the one to see when you need to feel better about yourself and is there to really help and guide you to where you and can be. She is just AMAZING! She is a true gem and I'm so happy and fortunate to be working with her." "I’ve taken lessons with all of the other teachers in my area, but they kept pushing me back into the classical or opera ways of hitting notes. With Adrienne I’ve learned to expand my range higher and lower with a pop tone that fits the music I do, and the difference has been huge. She helped my combine the new knowledge she was giving me without forgetting everything I knew before. Even the musicians I play with have noticed the difference, I’m singing with much more confidence, I’m doing more ad libs, I’m on top of the songs." When our daughter began working with Adrienne over a year ago, her range was limited and her stage confidence was also in need of a major boost. Adrienne set manageable expectations and together they worked every week to meet specific goals. We feel very lucky to have found such a professional, knowledgeable and encouraging vocal coach. In addition, to teaching, Adrienne is also a truly gifted performer. Oftentimes teachers are unable to actually show their students how hard work can pay off, but in the case of Adrienne it’s the exact opposite. We have been able to take our daughter to watch Adrienne perform on several occasions. Watching these performances has encouraged our daughter to dig deeper and work harder to make Adrienne proud. The growth we have seen in our daughter, both vocally and on the stage, is very impressive. Adrienne also provides opportunities for her students to perform in public and she even goes out of her way to come watch our daughter perform even if it’s not a Performance High show. The bond our daughter has with Adrienne and the experiences she has gained working with her are invaluable. Her coaching has enabled our child to be a member of a top choir at her high school as well as an annual soloist in her school shows. But more important than being able to sing, Adrienne has boosted our daughter’s confidence and given her the courage to take on new challenges above and beyond the stage. Working with Adrienne over the last few months has been a revelation really. I had been a guitar player who aspired to sing but my material was limited due to the limitations of my vocal range. Once Adrienne knew what I was looking for, in terms of extending my range, she very quickly got to grips with my vocal issues and within a few lessons had me going places I had never been any where near with my singing voice. If you could hear the difference in my voice a few months ago and now, you would understand why I called Adrienne "a miracle worker" after our last lesson. "As a result of working with Adrienne my confidence is much greater and the range of songs I cover has increased hugely. The warm up exercises provided by Adrienne ensure that I am no longer straining when I reach for those higher notes and I am much more prepared both physically and mentally when I perform. I recently started voice lessons with Adrienne after a 4 year singing break, and within a few short weeks I am regaining my connectivity, range and vibrato! Adrienne has an uncanny ability to zero-in on the exact exercises that I need to transform my voice and further my progress. Kelsea has developed a confidence and poise that I believe is directly attributable to the positive influence Adrienne has had on her. Since starting lessons with Adrienne my daughter's singing has improved immensely, and she's having a great time. [Adrienne] definitely has a way with teenagers and I highly recommend her for anyone considering lessons. I saw Adrienne just a couple of times, but those two lessons were enough to build my confidence in my abilities. Not only did she give me key vocal techniques that I could internalize and use, but she encouraged me to follow my dream and pursue my passion. I will be forever grateful to her. As a gigging guitarist and vocalist wanting to take things to the next level I needed a performance/vocal coach that understands what performing live is all about. It’s pretty straightforward to find someone who will help you sing better in your choir, but I wanted someone who understands belting out rock or country at 2:00 am in a four-hour set. Someone who can pull the maximum sensitivity and nuance out of every word of a ballad. Someone who understands differences in genres and adapts accordingly. Someone who can improve your stage dynamics, help you capture an audience, build energy, and leave em’ wanting more. Most importantly I wanted someone who is actively performing in those situations. Not only has Adrienne delivered all that and more, but she is an absolute delight to work with. She tailors everything to the student’s specific needs in a clear, concise manner. She records each session, so you can work at home to perfect what you learn, and build capability….fantastic! So for a working vocalist, an aspiring one, or someone who just wants to sing well for the pure joy of it I don’t think you’ll find anyone better than Adrienne. Adrienne sings, teaches, and writes in varied styles including pop, rock, jazz, soul, and electronica. 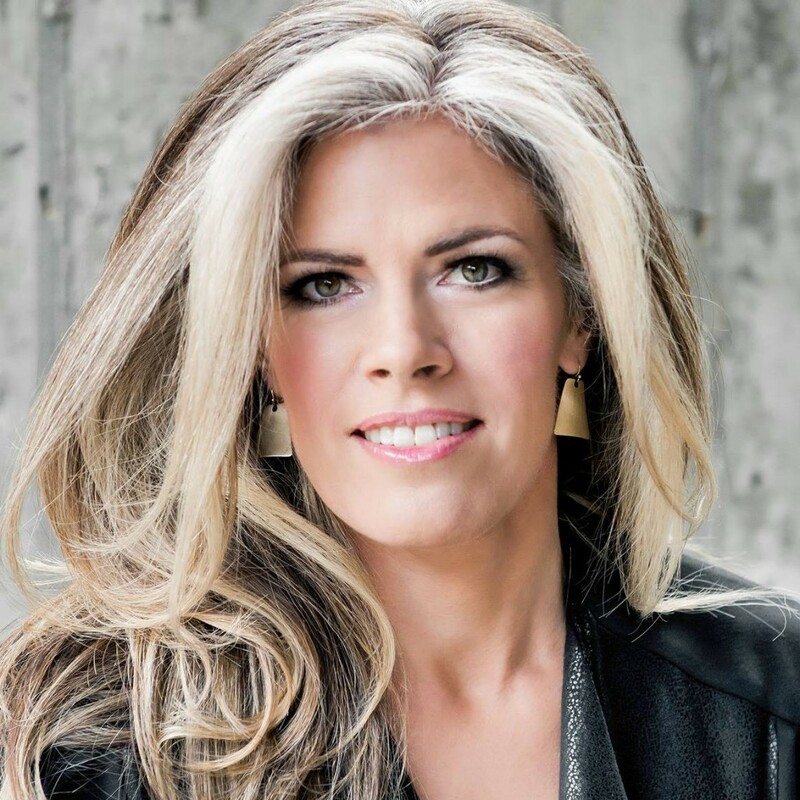 She teaches mix singing to clients in Colorado and around the world via Skype, including an American Idol participant who reached the top six, and various professional musicians. She has been certified as a Live Music Method teacher by Tom Jackson Productions / Onstage Success in Nashville and is pursuing accreditation with the International Voice Teachers of Mix. After seeing that there was no vocal training product on the market that exactly fit her vision and ideals, she encapsulated her vocal knowledge into a large video-based vocal training product called Nail Every Note. In 2010 she also released an instructional 2-DVD set entitled The Zen of the Stage: Performing in the Zone. Adrienne’s published discography includes three albums with her rock/pop band Adrienne O: Elevation (2016) Lines (2014) and SUPERCHROMATIC (2013), Oceans Closer (2011), a full-length jazz standards and originals album with UK violinist Pete Hartley; The Phoenix, The Flame (2010), with funk-rock project STAR (spontaneous thin air radio), including a video for the single “Star Shine”; and a 2010 EP with Soulful World Jazz trio Dois. One song from Adrienne O’s first album was featured in the full-length film A Remarkable Life. She is also signed with New York-based boutique production music licensing company Sway, and has music licensed to Flavorlab Records, Triple Scoop Music, the Play Network, and others. Some of her original jazz music has been licensed to Japanese television shows and, most recently, to the Fox TV series Rosewood. Adrienne is the lead vocalist – and previously the bassist – for her indie pop band Adrienne O, and is also the keyboardist in the duo lineup of that project. On the side, she enjoys playing Stevie Nicks with the Tom Petty Project or singing backup for the Jacob Larson Band. In the past, she has performed with – and in some cases, founded and managed – Spontaneous Thin Air Radio (original soulfully energized funk rock), Girls on Top! (funk/R&B/Motown), Bola Abimbola and Wazobia (Afropop), Dois (soulful world jazz), That 80’s Band (80’s cover tunes), and The Fever (wedding cover band), among others. She also was the keyboard player for the Jagermeister-sponsored live karaoke band Guitar Villains and the bassist for original rock band Driving Karma. She has performed live in the US and England, with Denver area venues including Coors Field, Hard Rock Cafe, Gothic Theatre, Bluebird Theatre, Ameristar and Isle Casinos and the Hi-Dive, among many others. Adrienne O (the band) was the winner of the Best Pop Performance category, and Adrienne herself was the winner of the Best Music Teacher category, in the 2016 Colorado Rock Awards.